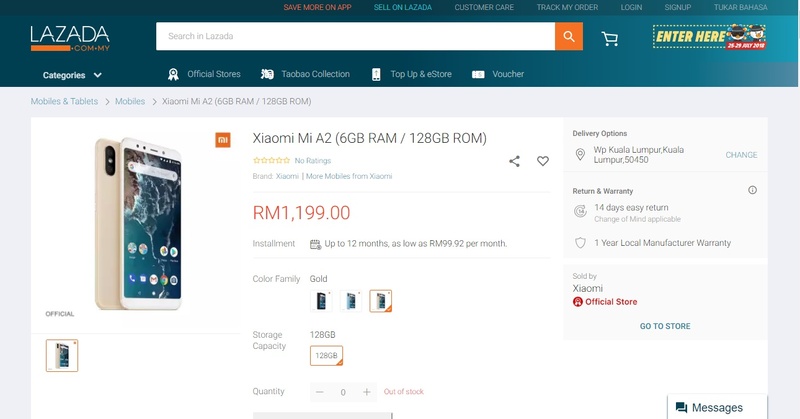 The newly announced Xiaomi Mi A2 has already appeared on the Mi official store on Lazada. The price tag is well within the range for what we were expecting, although we are a little surprised to see how the three models scale against each other. In this case, the Mi A2 happens to be the 6GB RAM/128GB storage version; which is also represents the highest end model. This essentially means that the other two versions of the Mi A2 will be priced even lower. Xiaomi had originally announced the base Mi A2 at 249 euro or RM1200, with the 6GB RAM/128GB storage version being priced at 349 euro (RM1660). This makes the RM1200 in Malaysia extremely attractive; even after accounting for logistical differences and European VAT. The listing also seems to indicate that the device will be released on 1 August; although that could be a placeholder. Seeing that Europe won’t be seeing it until the middle of that month. It’s unlikely that Xiaomi would launch a device in Spain and then have it hit the market much earlier in Southeast Asia. 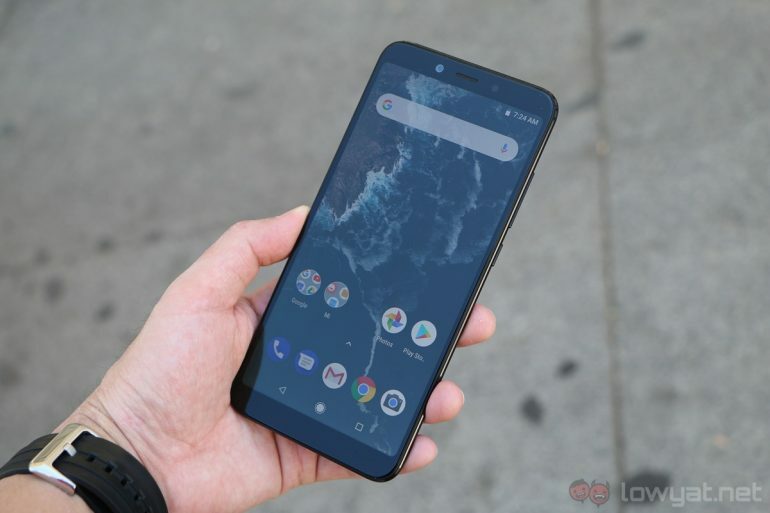 We’ve reached out to Xiaomi for an official statement on the release date and pricing of the Mi A2, but it should be safe to say that it will be a reasonably priced Android One device.